7/18/18 – Thank you for this pretty cottage on a glorious lake and for making us comfortable and welcome. The views are miraculous! 7/11/18 – Thank you for letting us recharge in your beautiful cabin, it was so much like a home. We loved it. Spent until 2am in front of the fire pit swinging, did not want the day to end and I had my first lesson in paddling around the beautiful lake. Perfect for a beginner like me! Continued success! 9/7/16 – Finding this cabin was like finding our own little slice of Alaskan paradise. Paddling on the lake for sunset was an incredible experience. We did not want to leave at all. But, hopefully you will see us back! Thank you so much! 8/18/16 – Thank you for this very nice and authentic accommodation in this beautiful setting with the lake and the Wrangell Mountains. We could enjoy on both days a wonderful sunset from the lake. Taking a little boat ride was also very enjoyable. Thanks again and greetings from Germany! Scott & Gail – Love, love, love your cabin. We felt like we were at home. Peaceful, comfortable and cozy. Thank you for all of the little touches you put into it. God Bless you! We enjoyed this lovely cabin on Pippin Lake. It is by far one of the best accommodations we have had. We love our welcome cookies, and every carefully thought out decorations in this very beautiful cabin. Oh, and we wished we had taken the offer to stay for the 3rd night but we ae sure it would be greatly appreciated by your visitors. Thanks for sharing this cabin with us! This must be one of the best kept secrets of this area. We hope to have the opportunity to return to this beautiful cabin one day. P.S. We enjoyed the canoe! Thank you! Thank you so much for the use of your beautiful, rustic cabin! The lake was a special treat and we enjoyed the various watercrafts you were gracious enough to allow us to use. We loved the jelly and cookies and all the food you stocked f/1or us. Thank you for your hospitality and God bless! – The Cisile-Klein family. Gail, thanks for the delicious breakfast and treats. The cabin is so lovely. We wish we could stay longer and have time to enjoy the lake and boats. We had a great time in the national park. The mountains and glaciers are beautiful and fascinating! Blessings! – Larry & Carol LaBossiere, Oxford, Main. Even though we only stayed one night here we have fallen in love with your beautiful, cozy cabin. Lori and I have done our fair share of travelling and have our list of places we want to go back to and this is now on the list. We are currently on a one year trip across America and Canada (including Alaska and Hawaii). We will be back one day! Thanks! Thank you fro making our stay so enjoyable with your gracious hospitality. Thanks for showing us your piece of heaven here in Alaska and educating us about its many wonders. Loved staying in your B&B here at Pippin Lake. What a cozy place! We certainly will have fond memories of our stay here. We so enjoyed your beautiful little cabin and all of its amenities. You live in a gorgeous area. Thank you for being great stewards and promoters of it…and for sharing a bit of this heavenly place with visitors. Our family had a great stay here on Pippin Lake. Our four children were most excited to stay in the cabin and experience the lake-canoeing, kayaking, and paddle boating. They even enjoyed swimming off the floating dock in the cool water.Thanks so much for your welcoming and care giving! The chocolate chip cookies were a sweet way to arrive and set the tone for our whole stay. Alaska is a beautiful state and we have enjoyed seeing much of it. When we make our way back, we will look forward to coming back here for a little slice of heaven! Blessings to you! We enjoyed a week in your cozy cabin wih the beautiful view on the lake. We had good fishing in the rivers of the neighborhood and loved to return in the evening in your charming hut. Once again we had a “perfect” stay. My daughter said, “We have a new spot!” We will be back for sure! Blessings and may God bless you and keep you & your family. Thank you so much for our fabulous stay, and at such late notice. The cabin was perfect and our girls couldn’t have had a better time on the lake. Thank you-very “neat” cabin. Not only clean and tidy, but the décor as well. As a lodge owner-Tamada Lake Lodge, I appreciate the work and overall effort you do and have done. Enjoyed my rest, the cookies and a hot shower. My best wishes to you. We’re back! We visited at the end of July for family fishing. Now the military is moving us to Minot, ND. We just had to stay on our journey down to the lower 48. Thank you again for your hospitality. We would love to come back & stay longer next time we come to Alaska. Thank you so much for the lovely stay. Everything was great. We had fun in the paddle boat. So glad we could stay 2 nights. Thank you for your hospitality, the cabin and the surroundings are gorgeous. We spent the night around the fire and the lake, such an amazing place! We’ll recommend it. After looking up many places around Glennallen, I am so glad we found this place! My husband and I agreed that we wish we’d checked out this part of Alaska, including this cabin, four years ago when we were first stationed at Elmendorf AFB. After a long day of fishing & exploring this was the perfect place to relax and enjoy the lake, the paddle boat, and the cabin. You’ve thought of everything! Thank you for making the futon bed for my 3 yr. old. The bear and moose stuffed animals were his best friends for the night. The variety of breakfast food was very nice and we will enjoy the jam when we get back to base. We will definitely be recommending Pippin Lake B&B to anyone travelling this way. I hope we can stay here again on our drive back to the lower 48 where we will be stationed soon. You’re the best! Gail, thanks for a lovely place to stay. It was so relaxing down by the lake and the cabin is decorated so invitingly. For the breakfast foods and jam, another thanks. Scott & Gail, What a surprise to happen across your bed & breakfast-when we thought we might have to sleep in the mini-van! Thank you for the accommodations, everything was lovely! The home baked goods, the paddle boat ride, the warm cabin-and meeting fellow Christians like yourselves. We enjoyed our stay immensely. This is a beautiful cabin in a beautiful setting with awesome scenery surrounding. Thank you very much. The cabin and location are fantastic! It was a wonderful surprise when we arrived to find a single cabin with access to the lake. The DVD on the history of Kennicott was very informative and an excellent prelude to our visit to Kennicott. Canoeing the lake at midnight with view of the Wrangell Mountains was awesome. We very much enjoyed our stay here. Thanks Gail and your daughter for a wonderful experience. We arrived after the long, bumpy and gorgeous drive from McCarthy just in time to take a quick paddle boat ride at sunset. This cabin is the nicest B&B we have stayed in on our 30th Anniversary celebration trip from Oklahoma! Thanks for your hospitality and for the jelly, which will be shared with other at home. 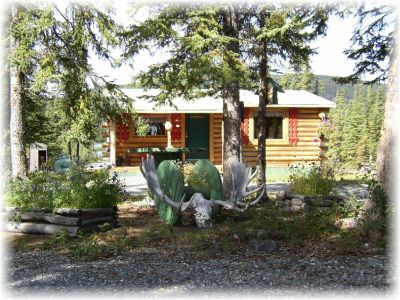 We will recommend Pippin Lake B&B to others we know coming to Alaska. God Bless you! On our way from Anchorage via Homer, Seward, Whittier and Valdez to Pippin Lake we stayed in hotels, motels and a lodge. It has been fine. But here…! Here we found a place to be “at home”, a place to be a family. Thank you for your hospitality and this great setting. Wish we could have stayed longer. Thank you for a lovely stay! The cabin is peaceful, cozy and cute. The flannel sheets were very much appreciated! The view by the lake is beautiful and sitting on the bench looking out so soothing to the soul. Alaska is a beautiful, beautiful place. And thank you for the goodies! The jelly is outstanding. We loved all the warm touches during our stay! Thank you, Gail & Scott. We intended on going on a hike, but the cabin was so cozy, well stocked with goodies, and the lake beckoned us to canoe & paddle the day away instead. Loved your sweet cabin B&B. Our stay, albeit short, was peaceful & restful. Thanks again for the great 2 night stay. Loved meeting you both. We enjoyed this wonderful cabin and our stay here. Your wonderful treats for breakfast were really great! You have a gift of hospitality and certainly know how to bake yummy cookies, muffins and coffee cake. We enjoyed relaxing in the evenings with several of the DVD movies too. This is a great place to relax on a busy scheduled first trip to Alaska. Thanks, too, Gail for the warm conversation we had with you. Charming accommodations, glorious environment, and a gracious host. What a special, memorable treat for two Californians! Thank you especially for the goodies you made for us! With fond memories. Thank you for a nice and spacious cabin with the lovely lake-side bench. I sat out there reading until 10pm, hardly disturbed by mosquitoes. What a peaceful spot! This is the most amazing little cabin in the most amazing location you can possibly imagine. The cabin is so charming, so well appointed, so cozy, it's hard to believe it was a cabin in the middle of some of the most beautiful scenery in the world, in the middle of absolutely nowhere! !A beautiful kitchen, sitting room and lovely comfy bed with a marvelous quit. The kitchen was stocked with food, so really we needed to go nowhere. As you stroll out the back, you encounter what appears to be your own private lake.. Pippin Lake. A paddleboat, and a kayak is yours for your enjoyment at the end of your own private small dock. You have your own barbecue, your own lovely little wooden swing with a fire pit in front of it. It was like a childhood dream come true. It is so private, so secluded, so serene and peaceful, it literally brought tears to my wife's eyes. So quiet and tranquil. We never saw any life at all on the lake. It is as though you have the entire lake to yourself, and that it is all yours. Come for a day, a week or more. You will be so pleased. This place is like a little heaven on earth! Enjoyed our evening very much. Loved the cabin and the lake with a view. Wonderful place, Gail. We really appreciated your kindness, too. Chris & Rhoda McFarland, Nappanee, IN P.S. Muffins were Wonderful!! Our stay couldn’t have been better. Such a wonderful place, in a wonderful place. Paddle boating was perfect, as well as all the cookies and cake. Could not resist watching all the Janette Oke videos. Thank you for all your hospitality and the anniversary gift. We will be telling everyone about it! My husband and I stayed w/you on June 6th and I just wanted to say thank you for a lovely stay. Our cabin was spotless, toasty warm and just perfect in every way. Thank you for the special treats you left and the lovely note. We took the paddle boat around the lake twice and enjoyed the beautiful dock. We have some great pictures and will cherish the fun memories we shared at your place. I hope you enjoyed your Anniversary getaway too! We will book again next time we are in Alaska and I will recommend you to all of my clients. We had a wonderful evening at the cabin, we wish we could have stayed longer! We really felt at home. Thanks for the muffins and all the breakfast food. It is so great to finally meet you and stay at your cabin! What a special place! It was perfect for my son, his wife and two little boys. The lake and boats were so fun and the campfire and s-mores so yummy. To top it off - an ultra-lite buzzed us! Wow! We couldn’t have asked for more! Blueberry muffins! My, my…Praise be to God! Gail, this is the best place to finish our Alaskan honeymoon, with the lake, the fire and the muffins. Our trip has been wonderful. We enjoyed so much your country! Thanks a lot! Thank you for a most peaceful stay - your cabin is so cozy and in a lovely spot. We enjoyed a delicious salmon dinner cooked on your grill and chocolate chip cookies for dessert! Yum - what a nice surprise! Thank you so much for providing such a beautiful, quiet retreat. Thank you for providing the comforts of home and for the jelly. Dear Gail, We loved the cabin, you’ve decorated it so well. The cookies and jelly were really appreciated. I wish we had planned even more time here to enjoy the lake. We did spend an evening just rocking on the swing by the lake and took time to relax…this will be one of those moments during the trip we will both remember. We hope to make it back to Alaska some day. Dear Gail, We enjoyed canoeing and paddle boating on the lake - it’s a lovely spot. Thanks for the cookies and the delicious rhubarb crumble. Once again, Gail, we enjoyed your little B&B! Thanks for the wonderful blueberry muffins and the cookies! For our first visit to Alaska we’re glad we booked a few nights in your cabin. It’s been the best place to unwind. Blessings! Dear Gail, Thank you for letting us stay here in the cabin, it was wonderful and it felt like home. The lake was petty and enjoyable, thanks for the cookies and the jelly. We hope to stay here again. Gail, Thanks so much for your warm welcome. Things just go so much easier when we are around Christian friends. So glad we picked your B&B out of the Milepost to stay in. God’s presence is in this cabin. Thank you for the cookies & jam. When my husband saw them he said, “And she doesn’t even know us.” God bless you and your family. Thanks so much for a comfortable stay - all we needed and more. I thoroughly enjoyed sitting and swinging out by the lake in the sunshine this morning. You are a great hostess. Gail, what a precious time we have experienced at your cabin. The delicious jelly, homemade cookies and apple bread, helping us have a wonderful fire and answering our questions were so appreciated. We really enjoyed taking the paddle boat around the lake, sitting on the dock, enjoying the mountain views, roasting marshmallows by the fire and cooking in the cabin. Thank you for making this all possible. The presence of the Lord is in this place. Gail, You have been the most accommodating host we could have ever hoped for. I wish we could stay longer here on Pippin Lake but we must press on in the spirit of adventure. Thank you for everything. Gail, After some disappointing accommodations, it was like a friend putting it’s arms around us and welcoming us when we walked through the door. So cozy and inviting. My husband’s first word was “cookies” - thanks for the recipe. If we had known how your cabin was set up we would have booked more than one night. Thanks for a great place to regroup before our next stop. God is so good. 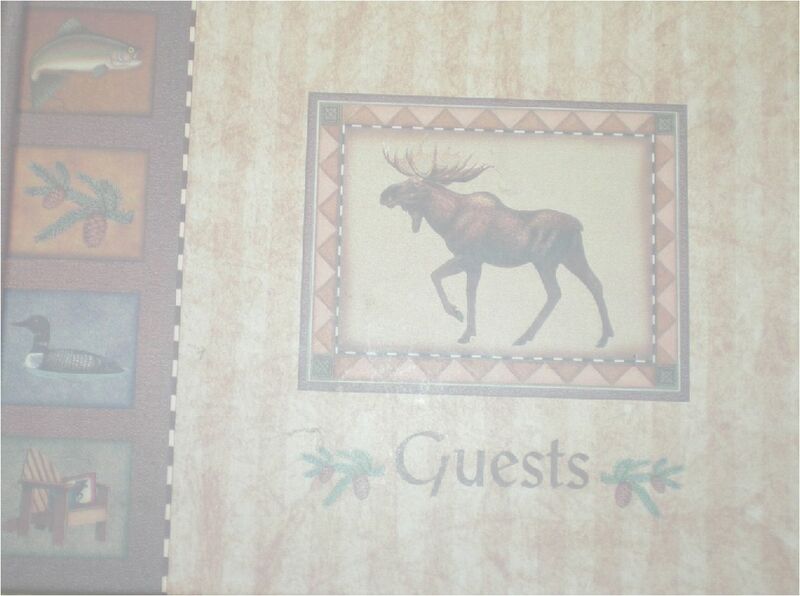 Your B&B is so welcoming, cozy and thoughtfully decorated, furnished with Alaskan artifacts, art, and crafts. To paddle your canoe on a lake with majestic mountain scenery was so refreshing. We are truly blessed to be your guests and sample not only your hospitality, but also your delicious cookies. Thank you! Definitely a day of “R&R” midway during our Alaskan visit of discovery and majestic beauty. How great is our God’s creation! Thank you so much for what has been one of our best stops along our Alaskan adventure! We feel truly blessed to have felt such a welcoming presence and to have had such a place to stay, relax, and enjoy the Alaskan wilderness. This will be a fond memory when looking back on our vacation and we wish you the best. Thanks again. God Bless. Thank you so much for your hospitality - what a relief to arrive at 2am and see the beds for the kiddos all ready! The girls had several paddle boat adventures during the day and Adam caught his 30 Copper River Reds-woohoo! The cabin was the perfect home away from home. Delicious cookies and muffins and tea, very clean & comfy! Thanks again & enjoy the rest of the summer. P.S. Great cookbook-can’t wait to try the salmon brine! Thank you for giving us this opportunity to enjoy your great facility. We loved the cabin, the lake, canoe, paddle boat, sitting out on the doc…I could just go on and on. We scarfed down the cookies like hungry bears. Thank you for the jelly. You have given us some beautiful memories to treasure along with your gorgeous Alaskan landscape. We are truly blessed to have had this experience. Thanks for everything. Gail, Thank you so very much - when I entered the cabin, “WOW” just beautiful. Thank you for the cookies and fireweed jelly. Sometimes there are no words to describe how beautiful our one night stay was - the paddle boat that my daughter and I enjoyed so very much and the beauty that surrounded us, peaceful and enjoyable. P.S. It was a pleasure to meet you. Gail, we felt instantly at home in the cutest cabin in Alaska! Surely we’ll be back. The grill worked perfectly for our steaks and the beautiful evening made for a perfect fat-free, calorie-free dessert! We slept soundly and enjoyed the Kennicott DVD. Have a great day! Thus far in our journey we have stayed in 3 cabins and yours is by far the best. It is great to find southern hospitality so far north. Thanks so much for the goodies, and the cleanliness of the cabin is especially appreciated. Hope we can see you again. -J Bruce & Debi Hanson. Wish we’d have been able to stay longer! A lovely cabin, well equipped and spotless! Took us a while to get used to the quiet! Best of luck with your bookings. Perhaps we’ll be back! P.S. We did take a canoe ride - neat! Gail, Thank you so much for the beautiful cabin. We had such a good time, caught some Kings on the Gulkana and truly enjoyed ourselves and your cabin. What a great start to an adventure in Alaska. Thank you for sharing your cabin with us. It was absolutely perfect. River Rafting and the bear down the road added to the adventure. Loved the hike up to the ridge. Thanks! Thanks for a great night of sleep. None of us wanted to get up this morning. You’ve done a wonderful job making your cabin cozy and welcoming. Thanks for the cookies. marshmallows and extra mattress. The kids loved the boats-adults did too! Hopefully we will have a chance to come back in a few years. We really enjoyed your cabin. Thank you so much. We’ve really enjoyed Alaska and the Alaskan hospitality. We even got to see a moose cross the lake two evenings in a row. Next time we pass through we will be sure to be in touch. Thanks again. This is the nicest cabin we have ever seen. We truly enjoyed our stay and the hospitality. We will come back again. Thanks a lot! Everything here is perfect! The cabin is clean and comfortable. We all enjoyed the lake. This is the first stop for my parents visiting from Virginia. I just hope the rest of Alaska is as wonderful for them. God Bless! Gail, This week has been quite a treat. I enjoyed staying in the cabin and I really am proud that I learned to ride a four-wheeler and really loved the ride in the ultra-light. I look forward to doing it again sometime. Love to you and Scott and Bonnie & Wanwisa. Thank you so much for letting us experience such wonderful beauty and tranquility in your lovely home! We couldn’t think of a better place to stay on our tour of Alaska, and wish we could’ve stayed longer. WE ADORE THIS CABIN! We’ve spent 12 wonderful days driving through Alaska, and our journey has brought us here to Pippin Lake for 3 great nights, enjoying what you have created! Doing laundry today at the “lodge” down the hill, said they’ve heard great things about your place, and buying ice at the gift store at the top of the hill, I couldn’t stop the wonderful owner from “gushing” about the place and it’s owners! Thank you! The cookies were gone soon, the jelly goes home with us to share with Family & friends. What a beautiful sanctuary, sitting on the swing watching the ducks on the lake. Our journey takes us to one more location for 3 more days, then home. Thank you for being a part of our adventure! Your “extra touches” will continue to bring smiles to all that stay here! Gail, what an absolutely wonderful cabin. Our only complaint is that we did not allow enough time here! Thank you for your kindness & hospitality AND the cookies & jelly! Thank you to you and your family for a very enjoyable stay. We truly appreciate all your thought and kindness in how you have designed a welcoming, cozy and most comfortable cabin, including the “decent” family films for our viewing. It’s very nice to meet other families with Christian morals. Thanks again for your warm hospitality you have shown to me and my Dad. God has blessed our hearts BIG time with our stay here in your cozy, adorable cabin. This darling cabin is just like I’d imagine my dream vacation home! J If we ever make it back to Alaska we’ll definitely plan time to relax and enjoy the peace and beauty of this place. You’ve thought of everything to make it extra special-even cookies! Thank you and God Bless! Gail - We love your cabin! It would be very easy to spend a week or so here. The swans and mountains give the lake a great view. We hope you have a great season! Gail & Scott, We enjoyed our stay in your beautiful cabin. It is so charming and cozy. Thank you for the delicious cookies and jelly! That was so thoughtful. Appreciated the many choices for breakfast. We enjoyed the lake with the paddle boat and canoe (and swan). Alaska has such spectacular scenery, we are impressed! Thanks again for a beautiful place to stay to enjoy your beautiful state. This is the nicest cabin I have ever seen. We were very comfortable & cozy. I would like to come back and stay a few weeks. Heck, I wouldn’t mind just living here! Everything about this place is just perfect and I’ll be telling everyone I know about it. Thank you so much for making this feel as good as home. J P.S. The cookies are awesome! Not even 5 minutes inside and already loving the place!! Very nice cabin, very beautiful scenery!! Nice way to finish our holiday in Alaska!! The cabin is pretty, cozy and wonderful. We enjoyed our stay here very much especially the walk to the lake and seeing the scenery around the cabin. Thank you very much for waiting for us till late in the night. This was our first experience in a cabin made of thick logs of wood like this and we loved it. Thank you. We feel so fortunate to have found your lovely place. Your cabin is so cozy and homey, like the décor, so tastefully decorated. Thanks for the cookies & well stocked pantry. Our visit to Alaska has been great, and staying here “tops” it off. Hope all goes well with you. Thanks again. The cabin is adorable-so cute & cozy. We enjoyed the paddle boat & canoe. Thank you for the delicious cookies & the fireweed jelly! We had no idea those lovely flowers with the cottony puffs we’ve seen everywhere were edible. Gail, What a super place to crash after 9,000 miles of driving. The fishing was great, as were the cookies and jam. Thank you. We truly enjoyed your cozy, clean, and comfortable cabin. Our kids loved boating and fishing on the lake, and we appreciated the proximity to the St. Elias National Park. Thanks for being so welcoming! I know we’ll enjoy the recipes from the Copper Country Collection Cookbook, too. Thank you so much for a lovely stay. God works in mysterious ways and for our good. This stay definitely proved it. Thanks for going out of your way to help us out. Wonderful place! Thanks for locating my cousin Tammy, and also for the cookies and the jam. God’s Blessing. Thanks for making this such a cozy and comfortable place! It’s been wonderful to have Pippin Lake as ‘home base’ to explore Wrangle St. Elias. It’s been a great stay and we’ll recommend this place to everyone we know! A lovely peaceful cabin-great base camp for exploring the Copper River Basin. Thank you. Such a lovely setting and such warm hospitality! Thank you, Bonnie, for the delicious cookies and coffee cake. You are a great cook. We enjoyed our stay! This place is just wonderful!!! I feel as if I have glimpsed a bit of heaven!! The lake with the mist rising from it was just too beautiful for words! It was so still and peaceful. The cabin was too totally cozy and I just loved the moose and bear décor. Everything matched so perfectly!! I wish I could stay longer. I am definitely coming back! Thank you! We love your cabin! It is adorable, and your hospitality made our visit to your beautiful state even more enjoyable. The cake & cookies were the perfect touch toward making us feel welcome. Thanks for the views, too! It feels like home here now; our 3rd trip! Our parents and Aunt loved it here! Blessings to you! Beautiful spot on the lake! Everything was so clean and well stocked! We had to come back and enjoy your place again! Thanks for all the special touches! This is the best Alaskan B&B we’ve experienced! We are enjoying your lovely place here-the cabin, the wonderful treats you made, Gail, and the lake, the flowers both wild and cultivated, the hospitality you and Scott have shown us. Tues. morning-we are leaving very happy to have had this brief time here. Thanks for guiding us to Kennicott and McCarthy and thanks for the delicious bread and cookies. Your place and hospitality are wonderful. We had a great two days. Love the cabin and the décor. The lake, view and Alaska is great. Thank you for the home made cookies & bread. Thanks for giving us this little piece of Heaven to stay at.